We design and deliver bespoke, interactive, engaging projects focusing on three key areas; social justice, social mobility and social skills. Despite their different emphasis, all of our projects have the same fundamental aim; to provide young people with a platform to make meaningful change in their own lives and in the world. We explore issues of law, human rights, social justice, politics and current affairs. We make a point of focusing on topical and controversial areas, many of which are not covered in mainstream school curriculum. Projects in this stream are designed to develop a sense of activism in young people and equip them with skills to make changes in their community and the world. We believe that it is our youth that are the answer to the increasing challenges in our world today. 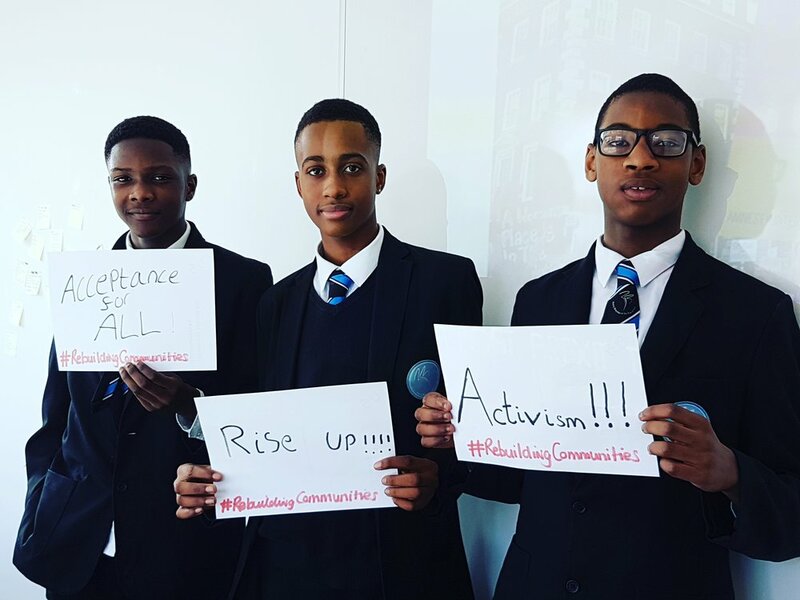 Human rights education: "Know your rights"
Our primary audience for these projects are young people from BAME backgrounds who are studying or studied at state comprehensive schools. We are looking for young people without the silver spoons, without the benefit of a selective or paid for education who have limited to zero access to the same opportunities as their peers. We believe that that the legal profession needs a good shake up. Although there has been some improvement to diversity in the legal profession, there is much work still to be done. In order for a system of justice to be truly fair, it must represent the people it serves. Suitable even if you don't want to be a lawyer- just a reminder that sky is the limit! Young people have great potential and promise. Some just need the opportunity to come out of their comfort zone! We deliver bootcamps and master classes to help build confidence across a number of transferable skills in a fun and engaging way.